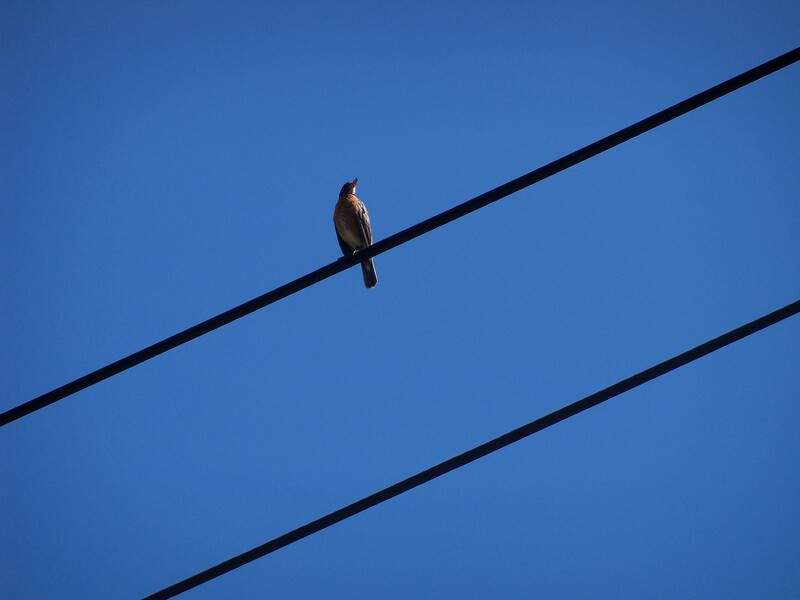 This little critter was warbling away up on the power lines this morning. Is this a robin? It has a reddish breast but also a fair amount of white lower down. A female? The bill is yellowish with a black tip like what robins have. But I’ve never heard this exact song before. Here is some video (low quality, sorry!) I shot to capture the sound. 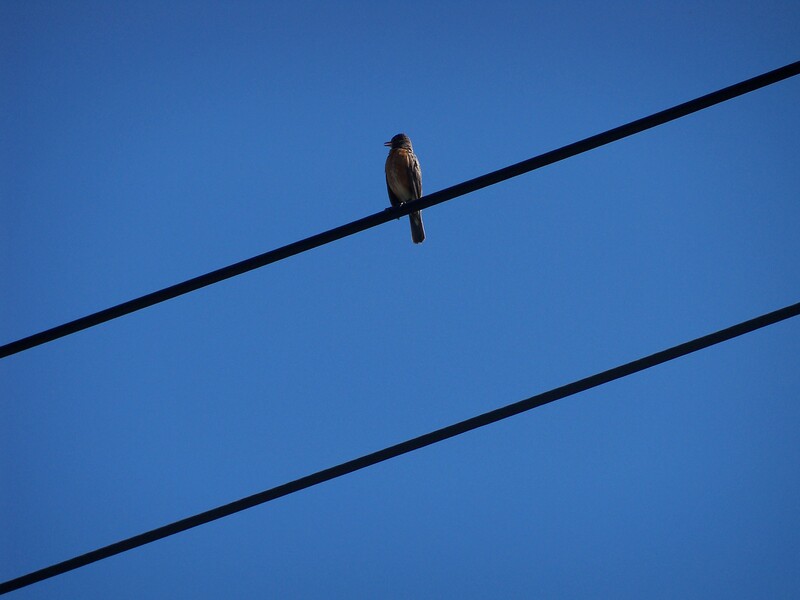 If you recognize the bird from its song, can you please let me know what it is? 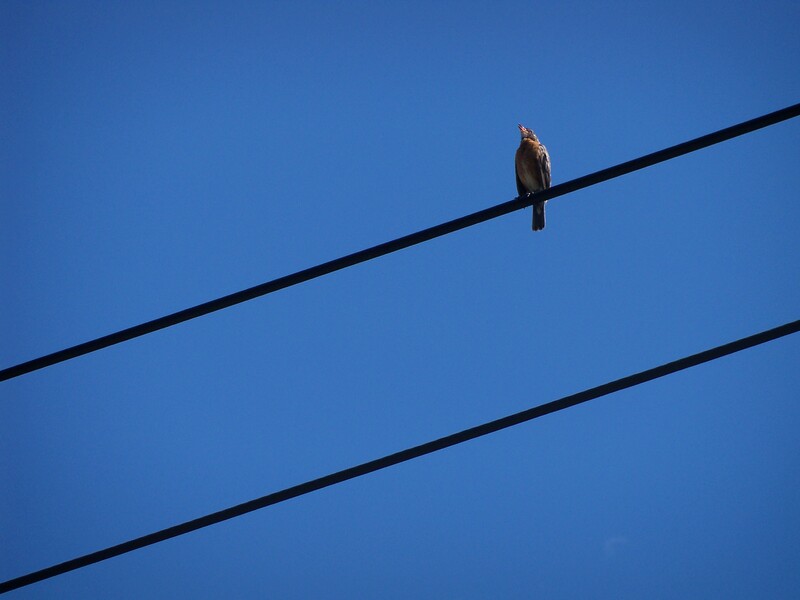 This entry was posted in Nature and tagged birds, birdsong, robin. Bookmark the permalink. 2 Responses to Sing it, mystery girl! That absolutely is a robin, a male. They have a large white patch on their lower bellies and under the tail, but you don’t see it while they’re on the ground — only from below such as this or while they’re in flight. They can actually be a bit tricky to identify by sound; there’s a lot of regional variation. Cornell’s All About Birds site has enough examples to recognize this one, though. Thank you! I’m going to check out the site you recommend.